Over year’s, a woman has always loved otter’s never forgetting about how cute and smooth they are, tiny or small but a little vicious. She worked hard and preserved to take care of those little creatures. They were her joy. 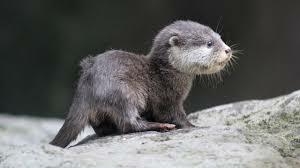 Before going totally blind she had otters for years already trained and fully grown. She always would take 5 otters to use for controlling herself, one step two step 3 steps and more. Before she knew she was going blind, she made patches of flowers, corn, oregano, snow snap peas. Only for the otters. Plenty of bad bully people came to her yard one day and took all of the corn, oregano, snow snap peas. They were snatched out near winter, never growing back. She felt it coming empty inside, no food for the otters.